Person 1 – How was your trip? Person 2 – Good, coming home we had a layover in Dallas but the flight was good. Person 1- You were in Dallas!? I hope you didn’t touch anything while you were there. Person 2 – I know. We were very careful. What does that even mean? Did you torch your clothing when you left the terminal or did you simply use the paper towel to open the bathroom door? To my knowledge there has not been a single documented case of airport transmission and not even the people sitting with him on the plane caught it. Don’t get me wrong, even without Ebola in the equation I wouldn’t go around licking the Cinnabon counter at LAX, but Ebola is a little harder to catch than you might think. I have heard the counter-arguments. The government told us that it could not come here, and then it did. They said it could not spread here, and then it did. While that is true, it is important to note that, so far, all of those cases have been healthcare workers in direct contact with the original case. Their job required them to treat Mr. Duncan while he was the most contagious and handle the very fluids necessary for transmission. Perhaps we should spend less time second guessing their decisions and more time admiring the courage necessary to risk your own life in order provide medical care to another human being. Doctors of what? Which doctors? Are they epidemiologists? Did they get an honorary Ph.D in Forensic Graphic Design? Double-negatives aside, that is the least actionable piece of information in medical science. In essence, they are telling you that possibilities do in fact exist and that they may be applicable to this situation. What instances? Hypothetical instances? Peruvian Independence Day instances? Of course, all that most people took away from that broadcast was the juxtaposition of the words “doctors, Ebola, airborne” which is more than enough to feed a panic. Before you know it there are Facebook posts claiming that this Ebola outbreak actually began when President George W. Bush ordered the controlled demolition of the twin towers on September 11th. I have always found it ironic that the people most likely to accept sweepingly complex Federal government conspiracies are also the ones who vehemently dismiss the Federal government as hopelessly inept. In other words, how do you believe that the same group of employees are perpetuating a highly-orchestrated nationwide ruse while simultaneously lacking the cognitive ability to perform the most rudimentary tasks in their job description? You cannot have it both ways. If the government is successfully running a clandestine operation with that many moving parts, they are not hopelessly incompetent. Conversely, if they are hopelessly incompetent they would be unable to successfully run a clandestine operation with that many moving parts. 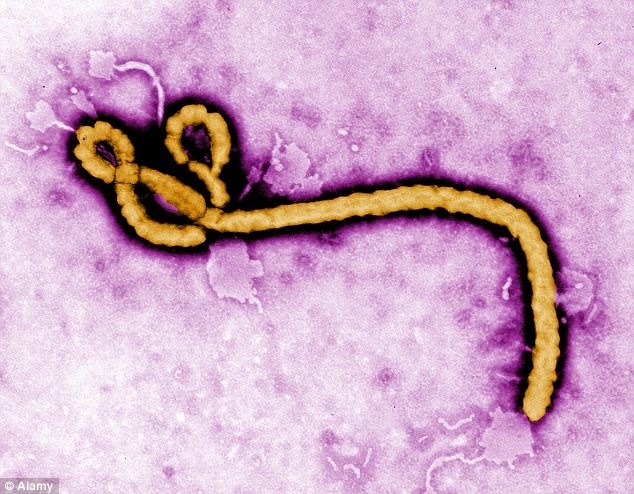 Don’t get me wrong, Ebola is a terrifying disease and in this modern era of globalization an outbreak is everyone’s problem. I came dangerously close to soiling myself when I first read Richard Preston’s 1994 book The Hot Zone; but unless its method of transmission changes you needn’t stockpile the bunker yet. Of course, that could be exactly what the CDC wants you to think so that when it goes airborne there will be more canned beans for them.